VINTAGE......could be a card, a wallhanging, a gift box....anything that takes your fancy, but it should have a Vintage feel to it. 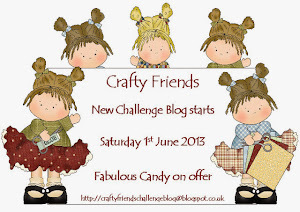 and Linnie is offering our randomly drawn winner 2 sheets of her lovely images.......that's 8 pretties to play with! I used a little chalk to outline the frame. A doll's pram was something I never had, as a little girl, but always wanted......I did have a Patsy doll which came with a little terry nappy, a bottle, and a cake of soap that smelled divine! My brother set the nappy alight and burnt his foot, tryin' to stamp out the fire (served him right! ), and my sister fed the bar of soap to our dog.....won't go into what came out of the dog for the next 3 days....hahaaaa! I used a piece of the same pretty paper to layer up the inside of the card. I'm hopin' this passes for Vintage.....heehee! This is gorgeous Anne-Marie. I love the sweet image, the soft colours and all your pretty detailing too. I'm sorry to hear you have had a bad week, I hope that the next one is better for you. Hi there, Anne-Marie! I just LOVE the soft, vintage feel of this super sweet card. You did an amazing job on this (as you always do). 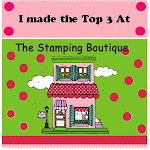 I've really enjoyed visiting your blog the last few weeks and seeing all your darling cards. This one is especially "right up my alley", and in fact, I entered the vintage challenge at Card Crafters' Circle. One of my most favorite styles of cards (which you may have noticed). You really inspire me, and I thank you for all the encouragement you've given me when you visit my blog. 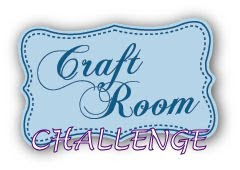 I also wanted to mention that this card would be so perfect for our challenge at Word Art Wednesday (well, really.....all your cards are, as they're all just as sweet as can be), and I really hope that you will swing by and link up with us. I always appreciate your participation, and it's a pleasure to see your sweet work each time I visit. Having you share your cards in our challenges is like extra frosting on a corner piece of cake. YUMMY! I hope you're having a great week, filled with God's blessings, and I also really hope you will stop by and play along with us. So pretty Anne-Marie! Love the lace and elements together! 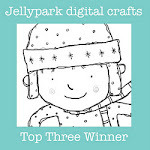 ADORABLE - - thanks so much for joining us on Paperplay this week. Such a sweet & vintagey card you've made. Hope this is a better week for you. This is so beautiful! I love the colors and the sweet little girl with her dolly! The lace is gorgeous too!! Had to chuckle at your Patsy story! I have three older brothers and could share hours of horror stories involving dolls and BB guns, lighters, etc. Fortunately, they all grew up to be Daddies of little girls and had to endure dollies, tea parties, and all of that wonderful stuff again!! Hope you are having a better week this week. I can't do vintage, find it very hard but you have certainly pulled it off with this wonderful creation.